Wolfgang is one of the brands by Palm Beach Motoring Group and is located in the United States of America. The brand is also known as Wolfgang Chemicals or Wolfgang Concours. 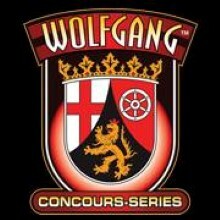 Max, the founder of Wolfgang Councours-Series started detailing around 25 years ago. With a passion for the many different variables that come into play he launched Detailer’s Pride Professional Detailing Products in 1997. A few years he became the co-owner of Pinaacle Natural Brilliance. With a strong focus on complementing modernizations in car paint and finishes, Max and senior chemist Lee from Palm Beach Motoring Group set out to develop products that would meet the standard of high-demanding car lovers. During this development the 2 meet with Wolfgang Determan, an enthusiastic chemist from Germany with a wish to contribute to the search for these high-performing products. This led to the choice for the name of the new series of products. Although the series of products started out with a focus on protection, combining the traits of a natural wax with the performance of a synthetic sealant, the current range of products offers a lot more then only protectants. Wolfgang offers products for interior and exterior cleaning, decontamination, correction, protection and tools that help you to get the best results. Even machines can be bought via the Wolfgang range. Wolfgang has its own company website and uses a select group of social media channels in low volume. They are part of the larger Palm Beach Motoring Group which means that famous detailers such as Mike Phillips have made videos about there products. They can also be found at a select group of detailing-related events and larger type of meetings. The brand is not very active on detailing fora and message boards, unless represented by a webshop or other affiliate.